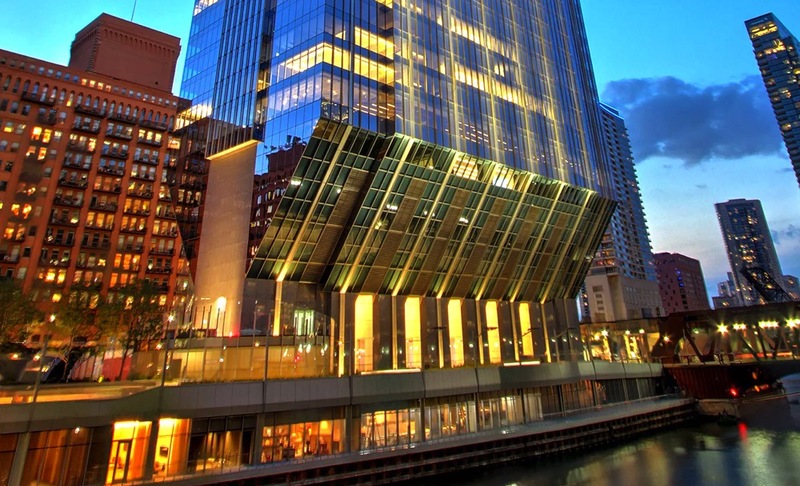 Why it's interesting: Located in the riverside of Chicago the 150 North Riverside Building was constructed using a pencil-type concept to respond to constraints related to limited footprint area that was available. The lateral force resisting system consisted of a 150ft long Reinforced Concrete (RC) core to which sloping columns were attached to allow for larger surface in the upper stories than in the basement. In addition to the RC core two mega columns W 36 x 925 per side were also used to which two four-storey X-shaped trusses were connected. 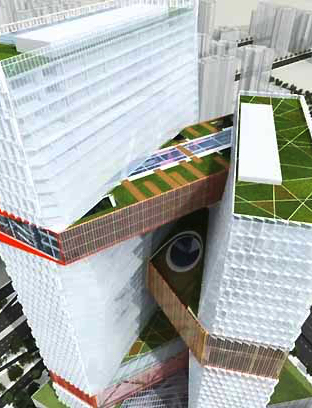 Why it's interesting: The design of this 10-storey building is extremely innovative giving the impression of three floating two-story bands over a podium. The absence of perimeter columns renders the working posts of all 2000 employees very close to open spaces with unobstructed view. 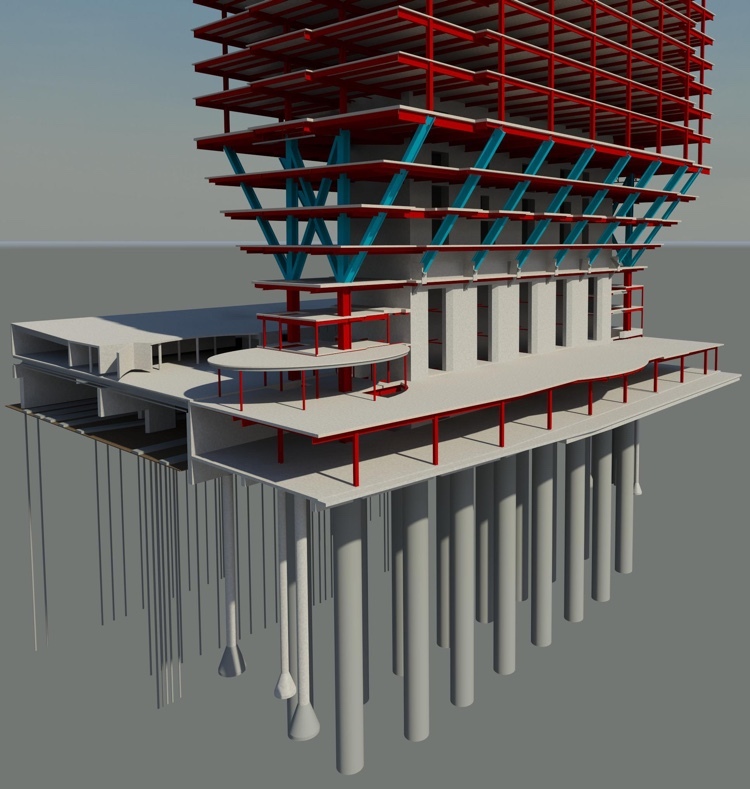 The structural system of the building includes huge double height trusses and cantilevers. 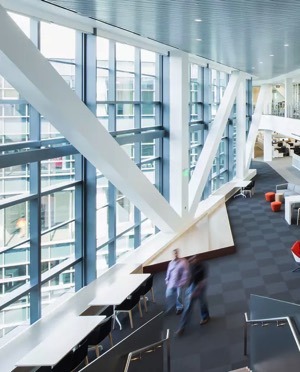 The building’s façade was conceived in an energy-efficient manner to reflect solar heat and therefore to reduce cooling costs, while the glass type that was used allows the natural light to embrace all spaces, which highly reduces electricity costs. Why it's interesting: Why it's interesting: Millau viaduct is one of the most trademark cable-stayed bridges in Europe as is the highest structure in France (343m) and with the highest road deck clearance in the World (270m). The two main challenges when selecting the structural system wererelated to the ground relief as the bridge had to cross the River Tarn and connect a huge gapfrom one side to the other (of approximately 2.5km). For these reasons seven pylons wereconstructed. 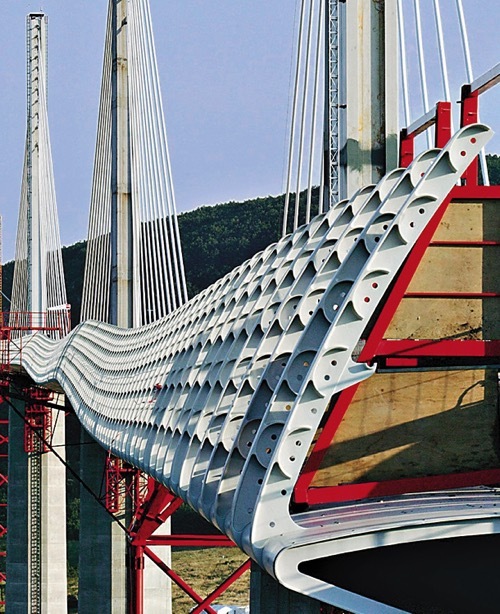 This choice led to relatively short spans (longest span of 342m) which in turnresulted in rather slender reinforced concrete piers and light steel deck with high degree ofmaterial and structural optimization. 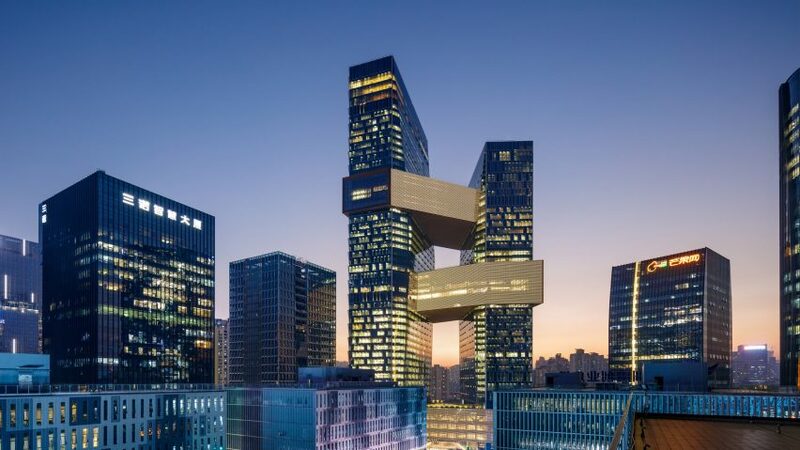 Why it's interesting: The idea behind the construction of the new headquarters of Tencent was to create a “vertical” campus where two towers are linked together at several heights through bridges to facilitate interaction between all 10000 employees. 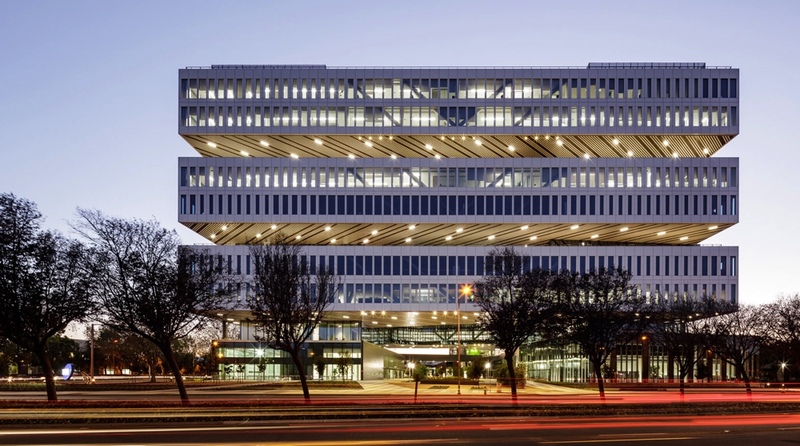 The structure consists of one glass tower (50 storeys) and one aluminum tower (39 storeys) that are connected with three large bridges and clad in copper-colored aluminum louvres. The facilities contained in the bridges represent key functions for a campus-equivalent structure, with the health center and gym in the middle one (like heart is the body’s middle), the library and conference room in top one (similarly to brain) and the reception and exhibition space in the bottom one (similarly to the feet that connect a person with the society). 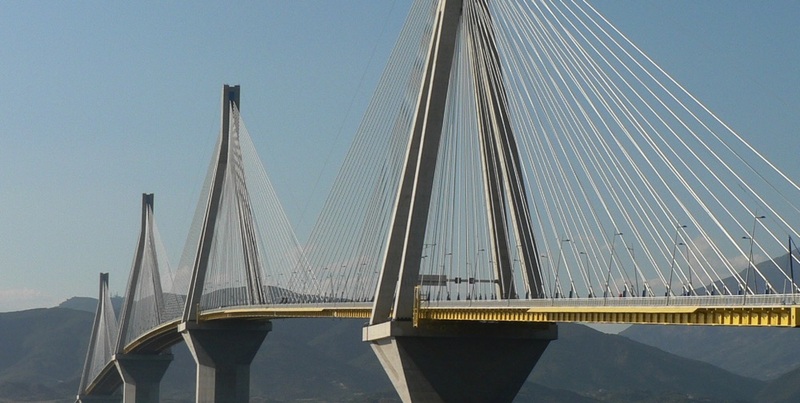 Why it's interesting: Is the bridge with the longest cable-stayed fully suspended deck in the world (2258 m). The strait that is bridged is crossed by an active tectonic fault and the seabed soil is of low quality. With no solid bedrock, even at 450 meters, it looked impossible to build foundations. 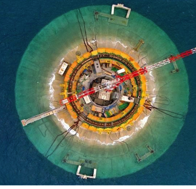 For these reasons the ground underneath each of the four piers was reinforced with gravel and each pier was simply posed on it so that during an earthquake the piers can move laterally and energy is absorbed by the seabed. 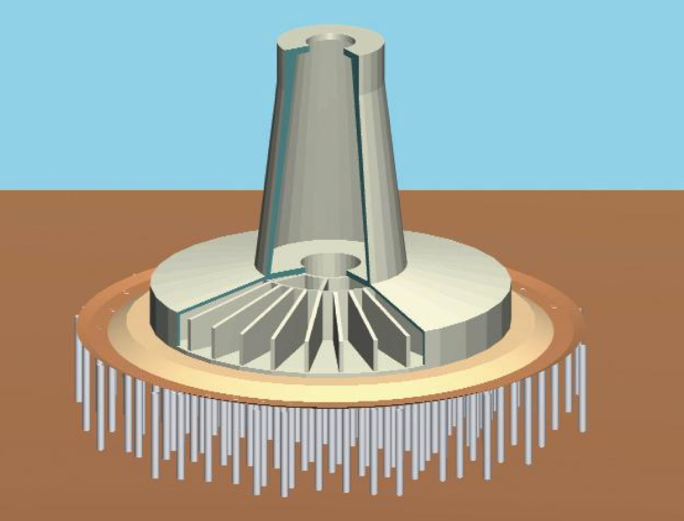 The bridge deck is isolated from the piers using hydraulic viscous dampers that absorb significant amount of energy during the seismic excitation.